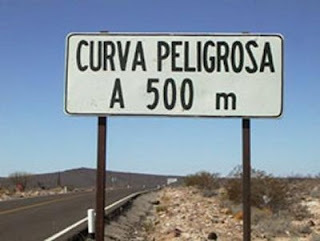 Me Encanta Curvas Peligrosas, or I Love "Dangerous" Curves. 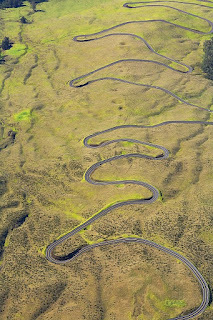 When I'm out for a ride or taking a trip, I'll go out of my way to find the most curvaceous road on the route. 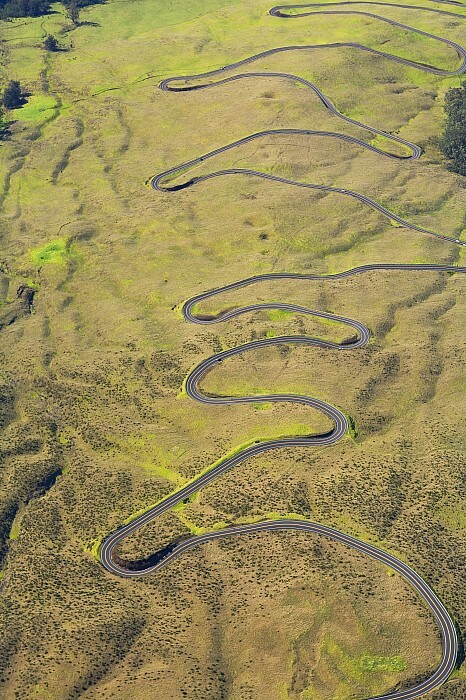 If you've spent any time on motorcycling websites, you'll have found many "Top 10" lists for roads, including those with curves. The reality is there are too many fun, curvaceous roads on this planet to ever ride them and yet it's worth making the attempt. Here are the best that I've ridden so far and in no particular order. 40 miles of paved and dirt corners with elevations changes and beautiful scenery. While the full length of this road runs about 100 miles between Enterprise, Oregon to Clarkston, Washington, the fun part starts north of the Oregon / Washington border. This section of Washington route 129 twists and descends to the Grand Ronde River before climbing up the other side. As a bonus, there is little traffic. Located on Utah State Route 261, the Moki Dugway is a 3 mile gravel section that climbs steeply from the desert floor to the plateau above. 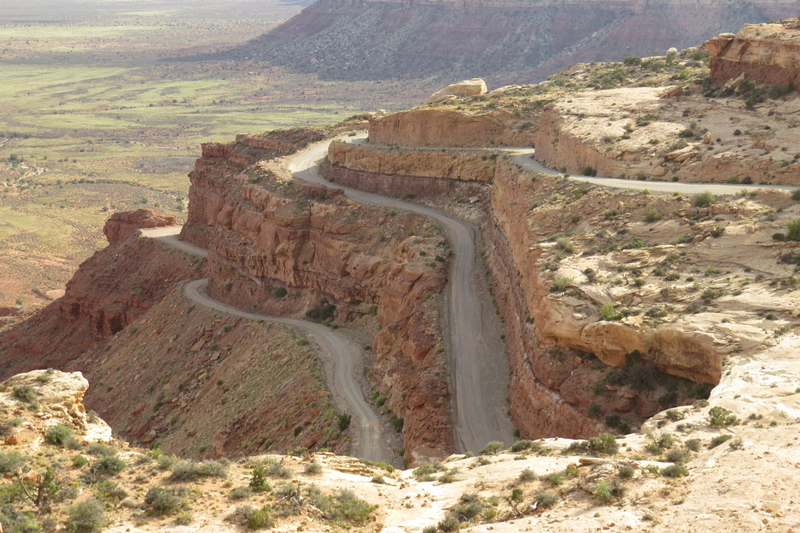 Route 261 is a Scenic Byway that can be found in South East Utah and is paved, with the exception of this gravel gem. If you're uncomfortable with heights and / or gravel roads, proceed with caution. The view from above is worth the ride! The most famous road in this area is the Tail Of The Dragon and it's also the most crowded. This region is dominated by the Great Smoky Mountains and is filled with curvy roads that have few, if any, straight sections. Mexico Federal Highway 1 runs the full length of the Baja peninsula from the California border to the southern tip at Cabo San Lucas. There are long sections that are straight and boring, however the sections that wind through the mountains or along the coastline of the Sea of Cortez are worth it. This section of the Crowsnest Highway in Southern British Columbia, Canada, drops into the town of Osoyoos if you're riding from East to West. This is a great road for scraping pegs or floorboards. Running between Flagstaff and Sedona, Arizona, Oak Creek Canyon is a beautiful and curvy section of pavement that is a challenge to ride and provides a stunning view at the same time. This road is popular so expect heavy traffic. Weekdays during the Fall may be the best time to go through this area. 38 miles of cornering bliss. Make sure your breaks work!